If you’re like most potential home-buyers, you don’t have extra money to throw away on a house that you may realize later is an absolute dump; so, yes, home inspections are really necessary. A house is one of the most important items you’ll ever buy. You want to get your money’s worth and avoid the tremendous aggravation of either living in unsafe quarters or having to pay to fix things that, had you known about beforehand, you never would have closed on the house. Hire Brian Champagne an experienced inspector who is certified by the American Society of Home Inspectors, and go with him as he makes his inspection, asking whatever questions you have. The inspection should run around $400 to $500, and you should get a copy of the inspection results, typically within 24 hrs. The inspector will be looking for plumbing problems and termite infestation, cracks in the foundation and a damp basement, leaky appliances and rotting stairs. If your agreement to buy the house is contingent on the results of the inspection, if a problem like the above is found, you can either be released from the contract or you can choose to let the seller of the house fix the problem. In addition to this thorough inspection, if you apply for an FHA or VA loan, you’ll need another inspection, but this one is usually not as extensive as the above one. Even new houses that have never been lived in can have problems with plumbing that was never installed correctly, light fixtures that don’t work, or doors that aren’t hung properly. 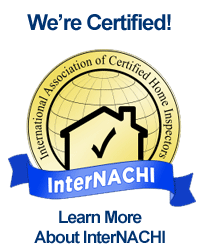 A professional inspector knows what to look for and can save you a lot of money and grief.